Floor cleaning machines are able to tackle even the toughest and most challenging of tasks. However, the caveat to remember is that they need to be maintained properly if you hope to maximise their sense of efficiency. This is why embracing the proper techniques and becoming aware of a handful of tips is the best way to get the most out of your scrubber dryer hire service. What do the professionals have to say? 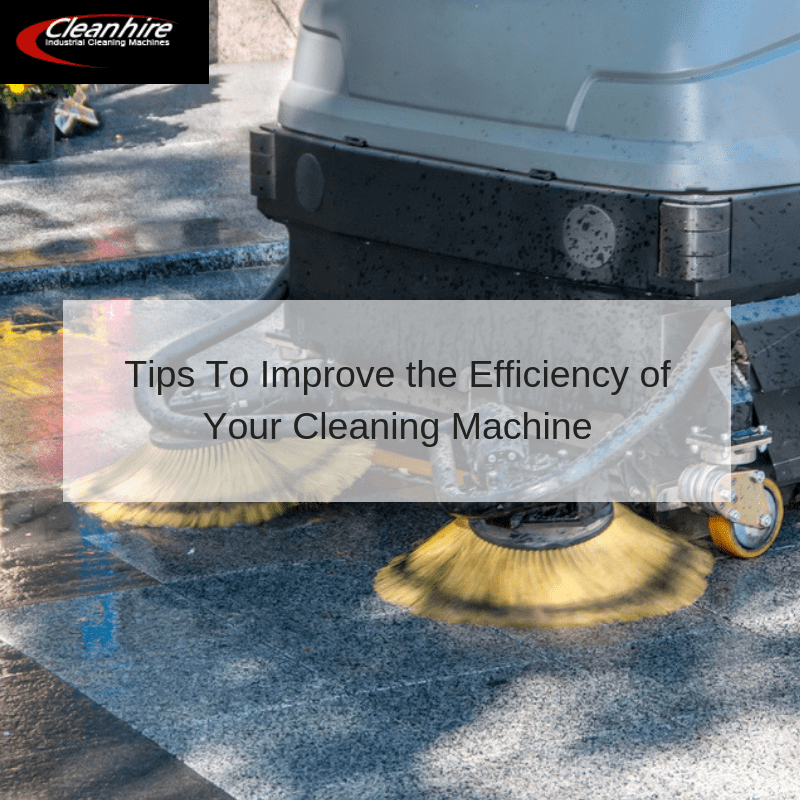 It can be argued that the underside of your floor cleaning machine is the most vulnerable due to the fact that it needs to stand up to a significant amount of wear and tear. Periodically check moving elements such as squeegees and brushes. If you notice that they are warped, cracked or otherwise misshapen, the chances are high that they will need to be replaced. In the same respect, clean these mechanisms on a regular basis with soap and warm water. Certain machines are designed to work in conjunction with specific cleaning solutions. Any substances which are not recommended could damage critical areas such as filters and seals. This is why it is important to read the owner’s manual carefully to avoid making what might otherwise prove to be a costly mistake. High-pressure jets and nozzles are intended to provide the cleaning brushes with the lubrication and the power that they require to tackle tough surfaces. However, these jets can become clogged from time to time. This is normally caused by the presence of certain minerals such as calcium and magnesium within the water (a condition known as “hard water”). The good news is that these jets can be unblocked by soaking them in a solution of water and vinegar overnight. This mildly acidic combination will help dissolve any blockages. The filters found within a cleaning machine will need to be examined and changed from time to time. They are intended to catch any excess particulate matter and naturally, clogs can and will occur. It is a good idea to check all removable filters on a monthly basis. The professionals at Cleanhire UK are proud to offer only the most advanced scrubbers and cleaners on the market today. Please speak with a representative to learn more.